This is our first legacy for Choiroke and we look forward to supporting other local community projects in the near future. 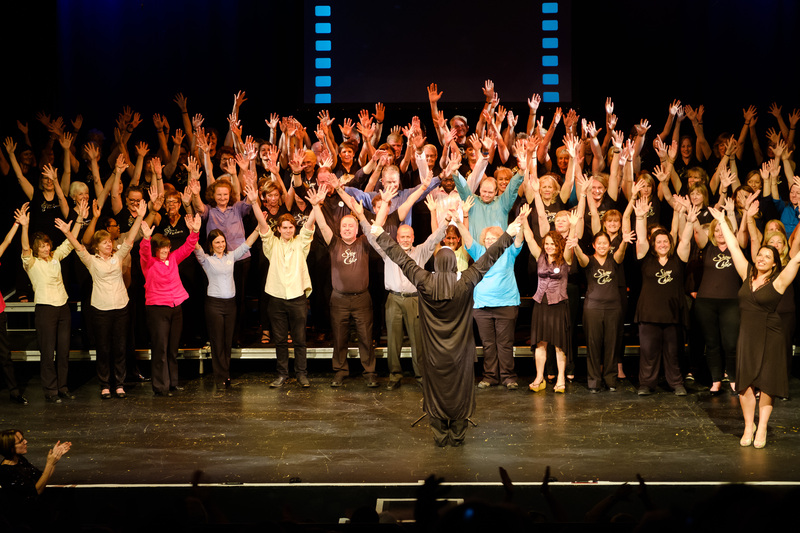 On Saturday June 10, 2017, seven of the finest choirs from across Surrey and Sussex came together at the Harlequin Theatre in Redhill for BRAVO’s seventh Choiroke concert. Choiroke is produced annually by BRAVO, which is led by Louise Camby and Rebecca Holloway, a Surrey-based, not-for-profit social enterprise that operates from across Surrey and Sussex. BRAVO is a team of volunteers who donate their skills and experience. The Musical Director for Choiroke 2017 was Sean Peters, based in Purley, who also leads the Sowden Singers who performed on the night. Making their debut performance at Choiroke, after only nine weeks of singing together, was the SASH NHS Community Choir. The choir was launched as part of a project to promote health and wellbeing in the workplace to bring the SASH Trust Workforce and the local community together. The relaunch of the SASH Choir was made possible by team BRAVO with funds generated by last year’s Choiroke event. Epsom based, Louise Camby from BRAVO and the creative producer of Choiroke said, "This is our first legacy for Choiroke and we look forward to supporting other local community projects in the near future." The all-inclusive aspect of music and song was beautifully represented by The Include Choir. 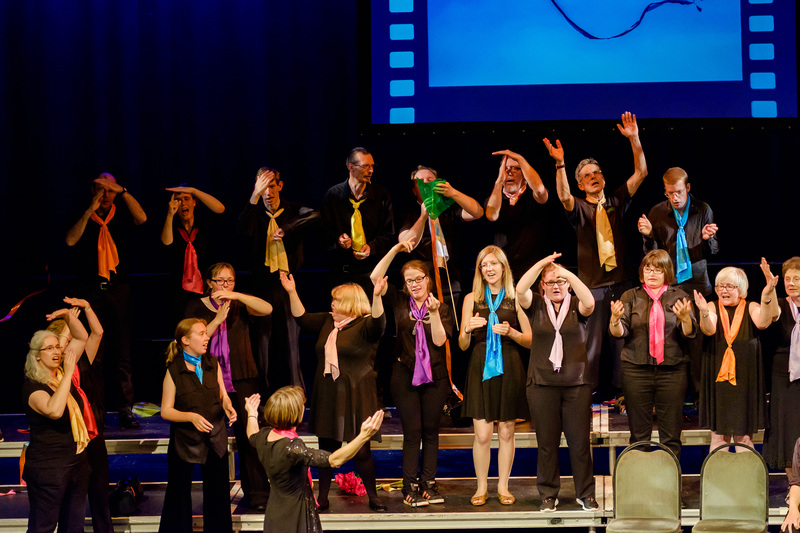 The choral group was founded in 2016 by speech and language therapist and musician, Alix Lewer, with the aim of promoting social inclusion, giving voice to people with learning disabilities and raising awareness of the need for inclusive communication. Also performing on the night was multi-award winning local chorus, Surrey Harmony, a women’s a cappella chorus established more than twenty-five years ago. 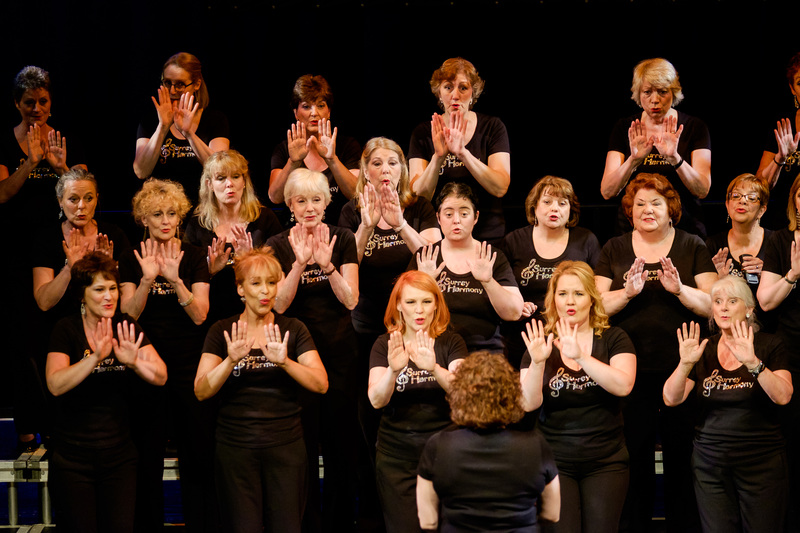 They have won the Sweet Adelines UK championship five times and have made seven international appearances. Returning to the Choiroke stage for the third-year running was Show Choir Banstead. The choir, started by Angela Mackenzie, a former opera singer, specialises in fabulous show songs befitting this year’s movie themed event. Show Choir started expanding in 2015 and has grown to include choirs from Dorking, West Byfleet and Cobham under the baton of Steph Parker who took to the Choiroke stage on Saturday night. Also taking part in the musical extravaganza were The Treblemakers, a village choir from Withyham in East Sussex formed under the directorship of Ralph ‘Ginger’ Millington. Choiroke’s charity partner this year is The Lady Taverners who raise money to provide equipment and modified mini buses for children with special needs. This year the aim is to raise £1,000 to purchase a sports wheelchair. This press release was distributed by ResponseSource Press Release Wire on behalf of BRAVO in the following categories: Children & Teenagers, Men's Interest, Entertainment & Arts, Health, Leisure & Hobbies, Women's Interest & Beauty, for more information visit https://pressreleasewire.responsesource.com/about.